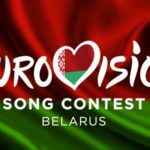 The 16th edition of the Junior Eurovision Song contest was aired live from Minsk Arena where we saw a record number of 20 countries competing for this year’s throphy. For the first time Kazakhstan and Wales participated in the contest. Host of today’s show were Eugene Perlin (ESC commentator for Belarus in 2013 and last year in JESC), Helena Meraai (last year’s Belarussian JESC representative who finished 5th in Tbilisi)and Zena (twice JESC national finalist 2015 and 2016). The live show started with the presentation of the participating countries and the entrance of the competing acts. The countries were announce in alphabetical order. The parade ends with the entrance of the three hosts. The winner was determined by a combination of jury voting and an online voting that had started on Friday and closed just before the live show began, but opened again once more only for 15 minutes after all acts had completed their performances. Each voting had a 50% share on the final outcome. 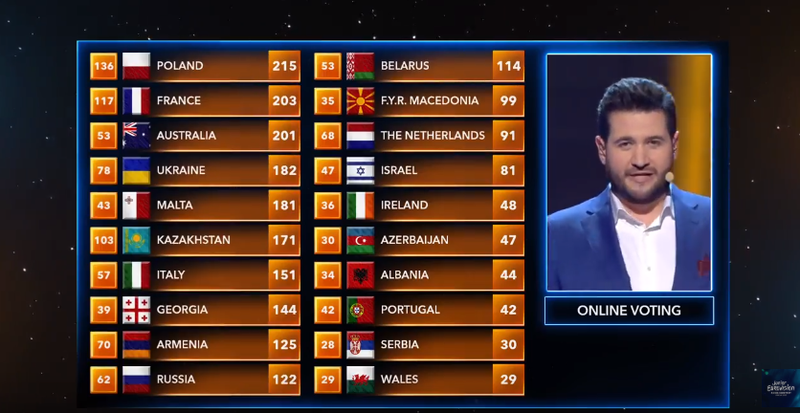 The overall results brought on top of the scoreboard Poland with 215 points (as she had 79 points from the jury voting) crowning winner of the contest Roksana Wegie and her song Anyone i want to be the performance of which won the public and the juries preference. CONGRATULATIONS TO POLAND AND ROKSANA!! !